Long Live Comedy is one of the country’s longest running open mic comedy nights, existing for over a decade at what is now Jumpin’ Jacks and have given a stage to many comedians, providing early gigs for Sarah Millican, Chris Ramsey and a host of others. 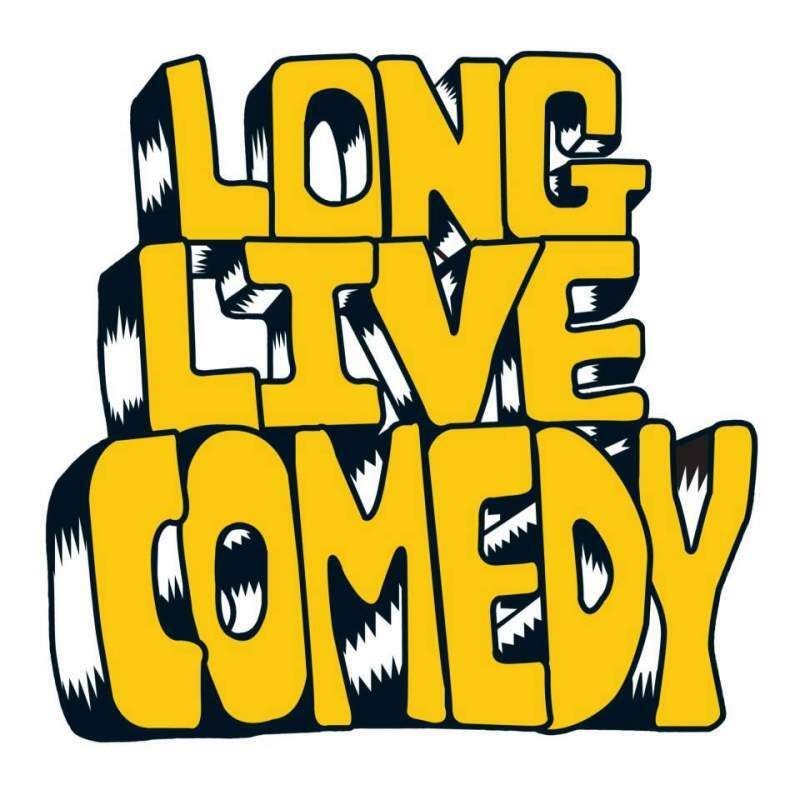 Long Live Comedy provides the laughs every Tuesday, completely free, with a range of acts from newer ones doing their first gigs, to more experienced comics testing new material. If you’re starting in comedy, the most important thing to do is always play it by your heart. Do what you want to do and do what makes you laugh. Don’t try hard to be something you’re not. Get into comedy because you enjoy doing it, making people laugh or because you’ve got a real passion for comedy or creativity. Don’t get into it thinking you’re going to have a DVD out after a year and you will get paid work just by virtue of having done 9 gigs. You won’t. When getting started, try and write 5 minutes worth of material or even just ideas. If you are struggling to come up with that, that’s your first red flag that this maybe isn’t for you. But once you’ve got that down, you’ll find as you perform it there are new areas to go down or embellishments to make. Some people are really good at thinking on their feet and improvising on stage, others are really good at writing loads and loads at home and there’s some people who can just go out on stage and be hilarious by nature. You might naively hope you’re the latter but chances are you are one of the first two and only ever will be one of the first two. You’ll also quickly find out one minute of written material translates to about two minutes on stage. Don’t immediately go “I’m going to be a XXXXXX comedian”. That’s never how it works. You can’t just flip a switch and be a type of comedian. And you might want to be a politics-based comedian and then find out you’re actually much better doing observations. If you want to be a Frankie Boyle sort, slowly easy into the offense. Don’t do your first gig laden with hatred and bile, you need to come across as likeable first. Start with as much likeability as you can do and amp up that sort of mean stuff over time. That sort of stuff only works with larger crowds and when you’re playing to 10-20 people at your first gigs it doesn’t ingratiate you. Don’t go out and bully the audience, especially if you’re playing to three people and a dog. There’s a few taboos but you can play with them. I wouldn’t rely on doing it because, particularly with new acts, it comes across as quite desperate. Heckling doesn’t happen quite as much at good venues or good gigs, but when you get your first heckle what will happen is you’ll freeze up (you probably won’t hear what they said or you won’t be able to think of ANYTHING to say). Then you will spend the rest of your life thinking of responses that you should’ve said then and probably start lying and telling people that’s how you snapped back for real. When you’re starting out try and attend gigs when you’re not on the bill so you can meet pro acts and get encouragement from them. A warning: there are a few genuine nutters on the comedy scene, you will come into contact with them. You’re not alone when one of them threatens to burn your house down when you’re asleep or cut your car brakes so you crash into the River Tyne. If you’re looking for gigs in the North East… this is where I’ll do the unsubtle plugging thing by saying I run Long Live Comedy. Long Live is a lot of people’s first port of call when they do their first gigs. Almost every other gig is monthly and as such can’t take too many chances on “new acts”. But most of the guys who book them see acts at Long Live and book them on the basis of that (or for turning up at their gigs as audience and meeting them). The other big one being The Stand – they do a weekly show called Red Raw which advertises itself as “open mic” BUT i would strongly recommend avoiding using that as a learning experience. I’ve seen a lot of acts do some of their first gigs at the Stand, it can work and is a huge room that gives you a confidence boost but it is also a spectacularly large crowd to go out to and die on your arse to. The aforementioned monthly gigs including The Chuckling Monk at The Chillingham, Mr. Shindig’s Laughter Store at True Coffeehouse and one day I’m sure Freshly Ground Comedy will be back soon. These are all great gigs with open spots and worth going to see and aiming to get on at eventually. If you’re willing to travel, there’s loads of opportunities further afield. York has more than a few nights, Manchester has enough to fill a week and in London there’s basically a epidemic of comedy nights. There are also a lot of New Act competitions that vary in quality and prestige. Most of them happen in June/July, so you’ve just missed them but you’ve got a year to prep for them (which is probably better). I think it’s around about January most of these open applications. Even if you don’t get anywhere in the competition, they are usually nice gigs. Also if you’re a student, make the most of that, and enter next year’s various student comedy competitions (Chortle, etc.). Don’t do any gigs in a pub without a function room or any gigs in a community center in general – but definitely not for the first year. Most people hate gong shows but you might find you have a knack for them. If you win one it can lead to some instant good work. I would avoid them for the first three-six months until you’ve got confidence (the premise is you have to last 5 minutes without the audience voting you off more or less). Also, don’t think you can run a gig just because you’ve done a few gigs or your brother-in-law owns a pub, you won’t know what you’re doing and it will be terrible. If your brother-in-law has a pub with a nice room for comedy, put him in touch with someone who knows what they’re doing. There’s at least five people in the North East alone who could run an amazing gig in the right room. Long Live Comedy is every Tuesday from 8pm at Jumpin’ Jacks, or as it’s more professionally known “upstairs at the Dog and Parrot”, and brings seven-nice acts doing five-ten minutes each to you for absolutely FREE. Among those acts are new folk doing their first gigs, veteran fellas doing new material and sometimes proper oddballs. If you’re a new act wanting a spot or just a comedy enthuasist wanting some info, get in touch on Facebook here.